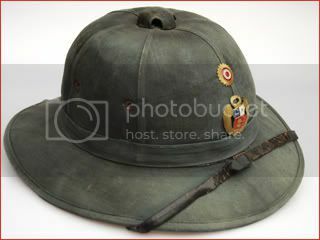 Designated the Model 1934 by the Peruvian Army, this helmet is the French Model 1926 and features the sun and radiant crown insignia of Peru. 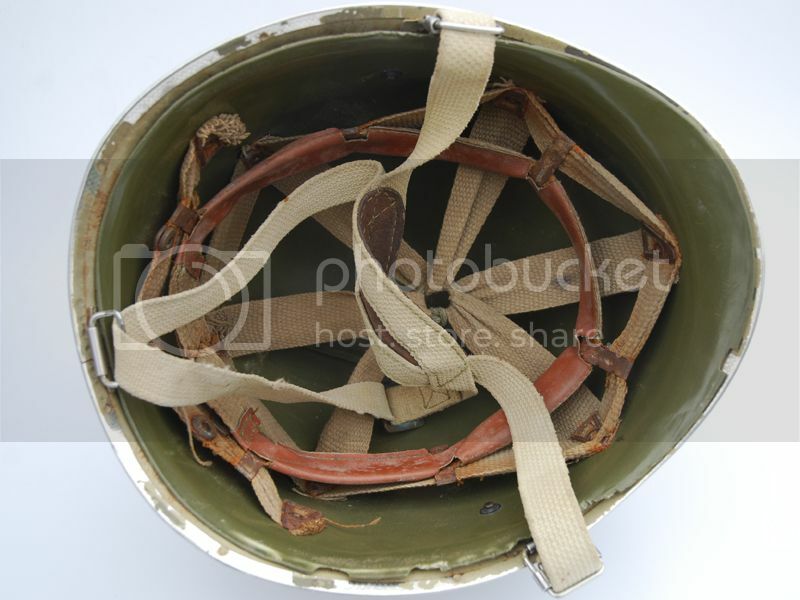 This helmet model was used until the 1960s when it was replaced by the American M1. 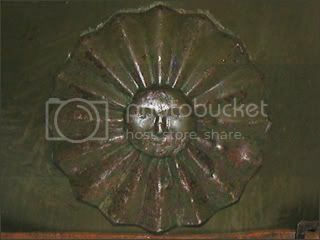 This Peruvian sun helmet is likely based on the French Model 1931 pattern sun helmet, and was introduced in the 1930s. 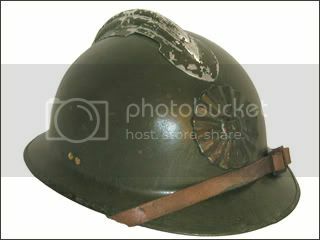 It was used by the Peruvian Civil Guard Cavalry during the Ecuadorian-Peruvian war in 1940. 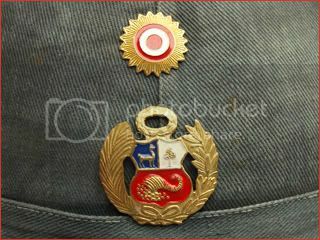 This example has the army cockade and army officer insignia. 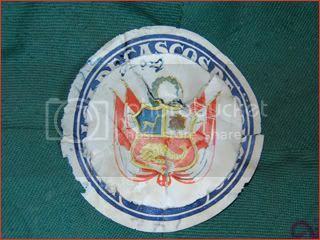 It features a label maker on the inside, with a Peruvian military label on top. 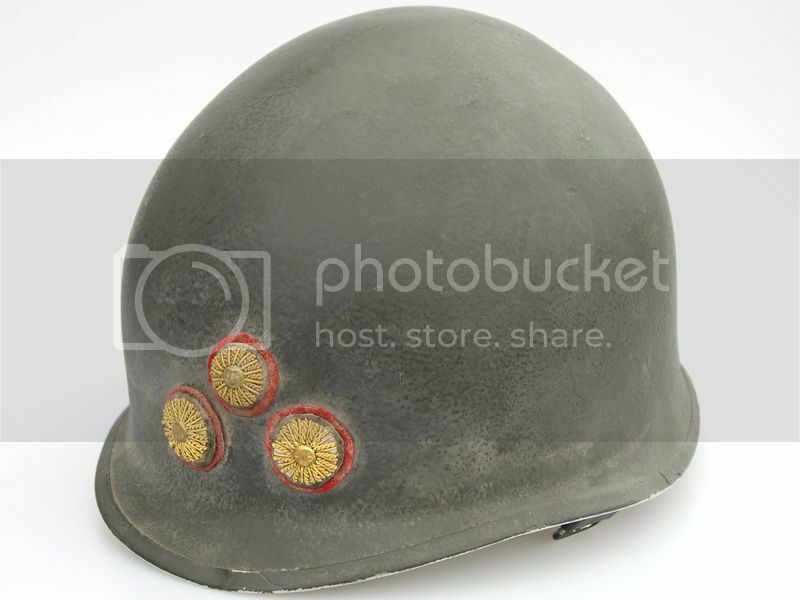 A Peruvian M1 helmet based on the American design, but likely of Israeli origin as it features a British paratrooper style chinstrap system. 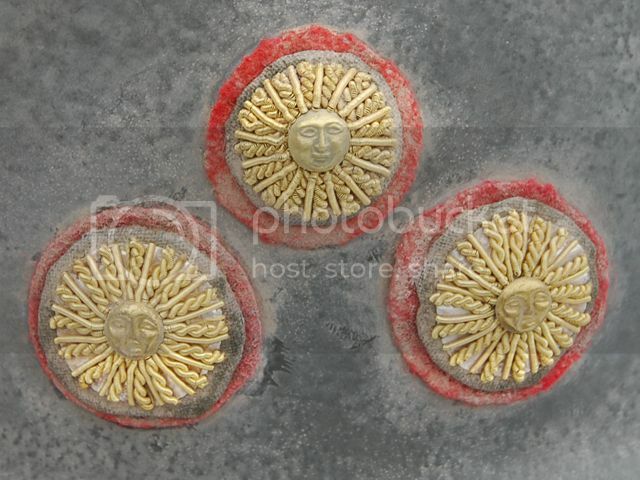 This example also features the three "suns" of a Peruvian Lt. General.